Studies on the control of moisture detection in pellet feed（Part One） - Wuxi Huamu machinery Co.,LTD. During the production of pellet feed, the water content in the finished product that will be affected by crushing, conditioning as well as other liquid additives; granulating, cooling and the influence of such factors are used as a test index as it is more complex, changes continuously and is not easily controlled. 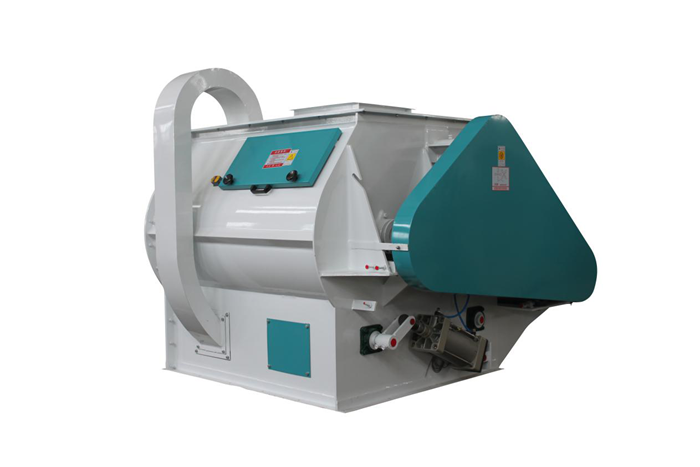 The grinding process is key in the process of pellet feed processing, and the water content decreases during the grinding process. 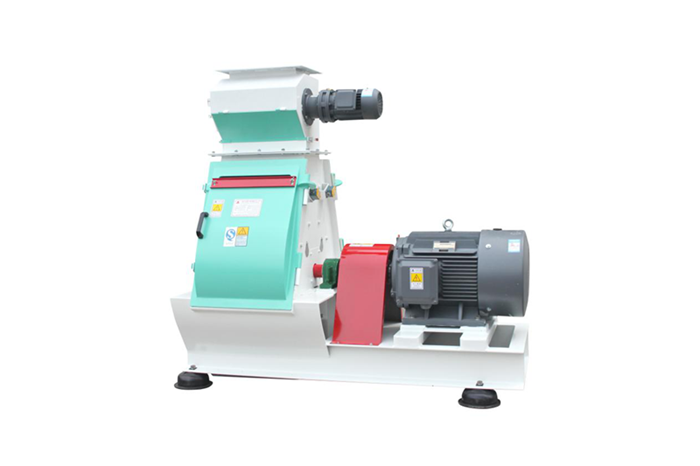 The analysis of moisture content in the material before and after grinding is found through the screening of the grinding mill with different sieve sizes, and the water loss is naturally increased with the decrease of the material grinding grain size. For different moisture content amongst materials, the moisture content in the grinding material before and after testing analysis and comparison along with the increase of material moisture content and the moisture loss in the material increase after grinding, the largest loss should be nearly 1%. Grinding should be efficiency and significantly reduced and energy consumption should be increased significantly. When the moisture content of the mixed powder is lower than 12.5%, you can consider adding atomized water when mixing it. However, there are many problems in this part: the amount of added atomized water cannot exceed 2%; The water retention is poor, so 2% moisture content is added with only a 40% ~ 50% water retention rate; It is best to use hot water to prevent mildew. Consider the consistency between mixing time and water content. In order to ensure uniformity, adjust the nozzle position and nozzle size. You will need to add anti-mildew agent. Remember to clean the inner wall of the mixer. Many factors limit the adding of water to the mixer, and the adding of free-water content will increase the chance of the mold growth. Moisture, temperature and time are key factors in controlling the quality of the final conditioning of the material. In the process of steam conditioning, water is the carrier of heat energy, and the amount of mixed moisture affects the temperature of the conditioning. The utilization of water and heat energy in the steam is also determined by the conditioning time. The conditioning of the moisture can be controlled by adjusting the amount of steam and the time of conditioning. It can be adjusted by changing the filling coefficient of the material in the tuner. The size of the pore diameter for the die is different, and the production of granular feed products is different. The smaller the diameter of the pore, the smaller the grain diameter of the feed grain. The cooling air easily penetrates the grain, so the amount of water that is taken away when cooling is higher, while the product moisture is lower. On the other hand, when the diameter of the pore is large, the grain diameter of the feed particles is larger, the cold wind does not easily penetrate the grain, and the amount of water that is taken away from the cooling is less, and the product is higher in moisture content. Cooling is the last step in the process of controlling the moisture of the product. In this process, the first step is to ensure that the water is not above the quality control index, followed by the controlling of the temperature to make sure it is in the proper range, ensuring that the product will not be affected by the high temperature. The current use of multi-current cooling machines has very good effect. When cooling, water content decreases and temperature decreases are related, as in the modulator, water content increases and temperature increases are related as well. Normally, when the temperature rises (or drops) by 10 ℃, the grain moisture will increase (or decrease) by 0.6%. The water content changes in the same batch of raw materials are different in the same production process. Therefore, the most effective way to measure water and control methods for the production of pellet feed is through real-time on-line moisture detection and control and the dynamic reporting and the adjustment of the moisture content of the product.